Sunseeker International is excited to announce the world premiere of its stunning 74 Sport Yacht at this year’s Cannes Yachting Festival, the leading European in-water show. Boasting the latest Sunseeker design cues and sporting prowess from the new Predator 74, the new yacht is premiering at Cannes Yachting Festival 2018, 11th to 16th September. Launched in January this year, the in-house design team at Sunseeker has created the 74 Sport Yacht with an exceptional flybridge – almost unperceivable within her profile lines. Depending on the owner’s wishes, the 74 Sport Yacht can be transformed into an “open” yacht in warmer regions or a “closed” yacht in cooler climates with an innovative cockpit door mechanism which lowers itself into the sole of the yacht. Stepping on board, owners enjoy stylish interiors and luxurious living with a considerable saloon including a sumptuous lounge and dining area plus an optional storage unit port side. Below deck there is a generous galley and three spacious en-suite cabins, comprising an aft master stateroom, starboard twin and forward VIP. The master cabin benefits from an optional walk-in wardrobe. 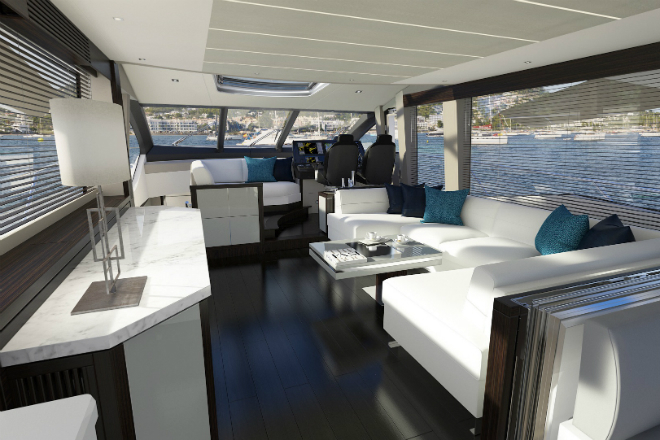 The below deck configuration offers complete flexibility for owners with an option to have a walk-in wardrobe for the forward VIP, an extended galley arrangement complete with lounge and breakfast bar seating or an additional twin guest cabin which would allow the yacht to accommodate up to eight guests in a four-cabin arrangement. The vast foredeck offers a superb sunpad for soaking up the rays and a spacious lounge seating caps off what promises to be another incredible success for Britain’s biggest boat builder. Yacht Style magazine is a partner of Cannes Yachting Festival 2018, so do check them out at their booth! Sunseeker is the world’s leading brand for luxury performance motor yachts and Britain’s biggest boat builder, founded by brothers Robert and John Braithwaite in 1969. Every Sunseeker is an uncompromising and unmatched approach to design, craftsmanship and performance. A majority stake was acquired by Wanda Group in 2013, the Beijing headquartered conglomerate has strong footprints across China, Europe and the US. 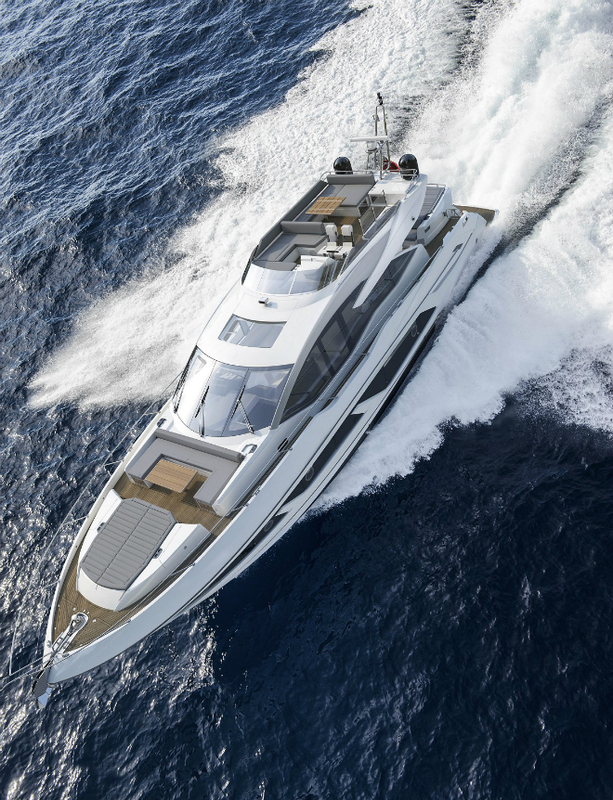 From its manufacturing base in Dorset on the south coast of England, Sunseeker employs c.2,500 people and produces around 150 boats every year ranging from 50-131 feet, with a growing demand for larger models and customisation service.